A blog about Medieval times and Weapons used back then. The Middle Ages started in the year 476 with the fall of the Western Roman Empire in the hands of barbarian peoples, who with their weapons (medieval swords, axes, spears, helmets, shields and other medieval weapons) were very effective during a fight at that time. This new and uncertain period divided Europe into small kingdoms, ruled by feudal lords, who often had warlike confrontations. Mostly used weapons were the sword and the shield, which were very heavy. The Knight protected his body with bronze or iron armor, formed by helmet, chest armor and leg armor. How did Europe emerge from Dark Ages? 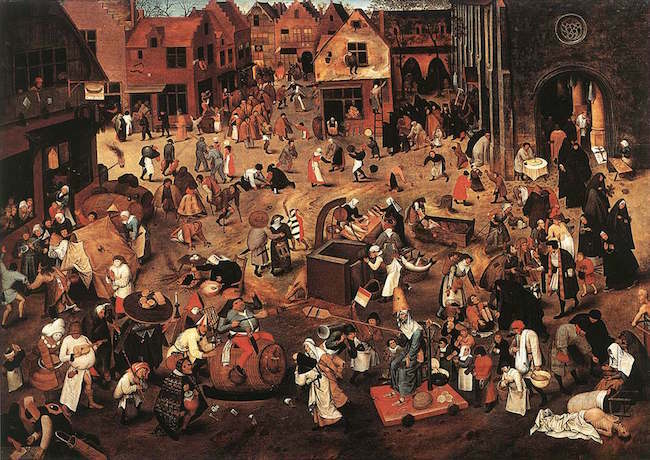 The Middle Ages were one of the darkest periods in world history – rife with disease, poverty and human cruelty. The previously enlightened civilizations of Rome and Constantinople – and their legendary armies of soldiers in Roman armor – had fallen victim to the bubonic plague, rampaging barbarian hordes and dangerous superstition. Few people could be said to enjoy life during this era: kings and land barons had it pretty good, but what about all the illiterate peasants forced to grind out a subsistence lifestyle? Monks and other members of the clergy were often the only ones afforded a chance to learn. Of all the people alive in Europe between 700 and 1100 AD, most were unable to read and write. Monks and some enlightened kings were the rare exception, and they kept the light of logic and reason burning for future generations. Next Next post: How much did a medieval mace weigh?